Tanya is a singer, songwriter and composer whose work has been recognised internationally (in Jane Campion's seminal film "Sweetie"), nationally (in Sandy Evans' Charlie Parker tribute "Testimony") and locally in the numerous choirs and vocal ensemble she directs. 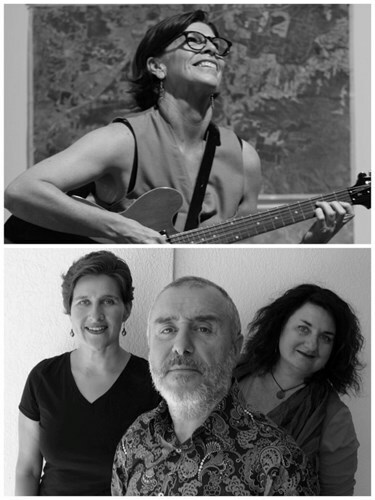 Strawberry Thieves is Sydney's newest vocal harmony group comprising Christina Mimmocchi (Blindman's Holiday), Jess Ciampa (Monsieur Camembert, Marsala, etc) and Lisa Cartwright. With their joyful sparkling harmonies, these well-travelled musicians join forces to present a trove of songs, old and new, local and from out there.